Do you ever have nights when you simply don’t have time to cook? Whether you get home from work late, your kids have activities they need you to drive them too, or you simply have a lot on your plate, there are plenty of times when you simply don’t have time to cook an elaborate meal. Thankfully, there are tons of quick and easy meals you can make that don’t take long at all and that don’t require a trip through the drive thru. 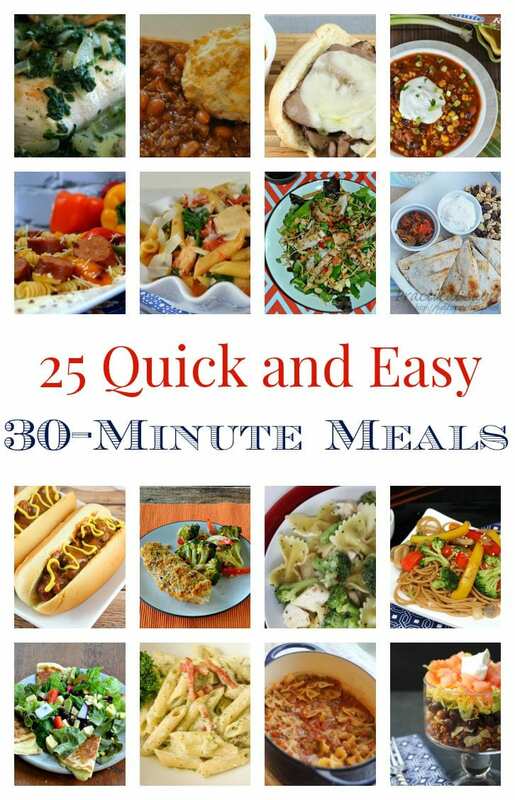 Here are 25 quick and easy 30-minute meals your family is sure to love! 6. Rotini Beef Skillet Recipe – One Pot Cooking! What meals do you love to make when you’re running short on time? Share in the comments below! Oh the Shepherd's Pie looks good!!! I cannot wait to make a few of these special recipes. The Italian Skillet Eggs Recipe looks as a great breakfast. The Chicken Quesadillas, Fresh Corn Relish And Watermelon Berry Salad sounds like a great salad. The Easy 20 Minute Sausage Cajun Pasta looks like a great savory dish. Although I don't have children at home any more it still seems like I never have enough time. Thanks for the great suggestions. I'm going to try the One-Pot Parmesan pasta tomorrow! My boys all love their pasta. I wouldn't be able to pick just one to try so i would have to try them all,but i would start with the Easy Caribbean Tacos. Can't wait to try these, thanks!